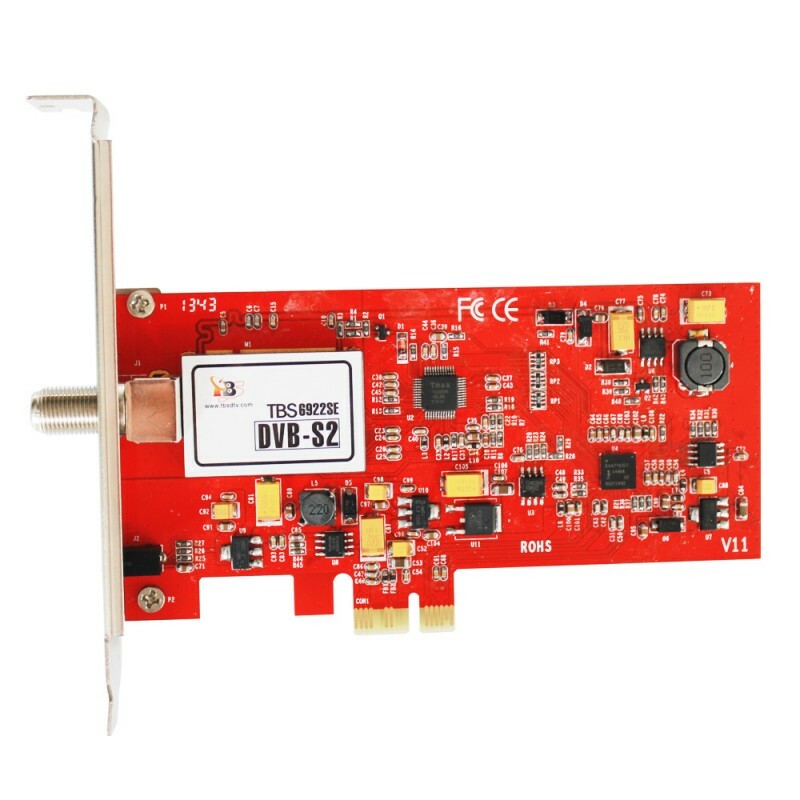 The TBS6922SE is the successor of the TBS6922, which is the latest release of TBS PCI Express series satellite TV cards with a single tuner for watching digital satellite TV programmers. It supports both DVB-S2 and DVB-S reception. Also taking the advanced DVB-S2 RF and demodulator chipset and built with the highest quality components such as tantalum capacitors. So you can use it to watch UK Freesat or any other Free To Air satellite TV programs in your region, you can also use it to record those programs in your PC with High-speed Data download. It’s ideal for building up HTPC or IPTV streaming server. It’s ready with Windows BDA driver and Linux driver up to the latest kernel 3.X (Tested on Ubuntu, Fedora, Opensuse and other Linux distributions). It’s compatible with Windows7 Media Center, MediaPortal, DVBlink, DVBDream, DVBViewer, ProgDVB, Skynet, TSreader, XBMC, MythTV, VDR and many other popular software. Click the button below to add the TBS6922SE DVB-S2 HD Satellite PCI Express Card to your wish list.